Our autumn is amazing. Forests put on dynamic displays: the view changes daily with green replaced by crimson and golden leaves. Stark, flat fields of sphagnum peat and blueberries transform into vibrant landscapes of blazing red. Temperatures are moderate, and most biting bugs are gone. There are many reasons why this season is so beautiful and comfortable but for me the best part of autumn in these Atlantic provinces is the food. By fall equinox, around September 21st, a diversity of vegetables from arugula to zucchini fills farm stands. Orchards host U-picks and serve apple cider. Shellfish is great and keeps getting better as temperatures drop and the sweetness intensifies. Urbanites can join in the harvest bounty by going to their local farmers’ market. A drive in the country doubles as a pleasant way to spend the afternoon and time to stock up on produce. Farm stands can be found on back roads throughout the Maritimes. As testimony to our rural culture, many have a moneybox operating on the honour system—some with a message to “Make your own change.” Small markets sell fruits and vegetables by the bushel for those willing to bottle, can and freeze food, making it possible to eat local produce even in the dead of winter. If you want to appreciate the food without the work, check out a food festival. 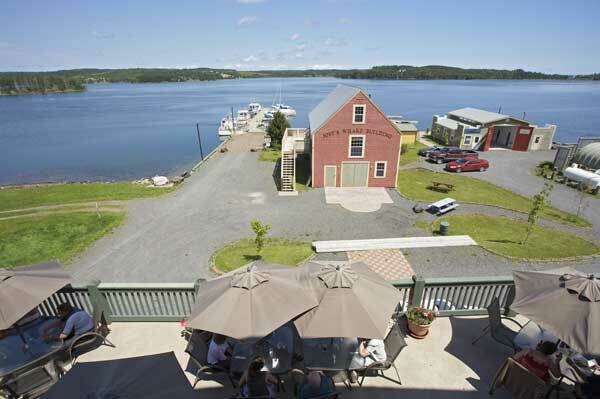 The Indulge Food & Wine Festival takes over the Town of Saint Andrews, NB for a weekend in October. The festival begins with the Taste of Saint Andrews, and in the heart of “downtown”; Water Street is closed to vehicles. People stroll from store to restaurant and exchange tickets for scrumptious samples of food and drink. The main event is the Harvest Feast held at Kingsbrae Gardens. Many of the town’s chefs try to outshine each other as they each create a course made from locally harvested ingredients. Meanwhile a few other restaurants hold special tasting menus or, as in the case of the Algonquin, an Oktoberfest buffet. A wonderful twist to the weekend is the Hike for Hunger on the last afternoon. Along the walk on old carriage trails up Chamcook Mountain behind the Rossmount Inn, there are tables with small samples of treats. A half-hour to an hour later and 128 metres higher, hikers are rewarded with a cup of chili and an incredible view of Passamaquoddy Bay with its many inlets and islands. After going to decadent events like Brats and Brews and the Wine Trail, the hike seems appropriate —a healthy change from sitting and eating. More than that, it feels great to get moving and the trail is beautiful. Proceeds from the event go to the local food bank. Fall Flavours celebrates local food for the entire month of September throughout all of PEI. Participants savour local specialities at feasts ranging from the traditional, like Acadian friçot and lobster boils, to new twists on local ingredients, such as lobster sushi and pumpkin tiramisu. People dress up for some events, such as those at the big hotels and fancy restaurants, but for other events, dressing down is best. At the Mussel and Lobster Shore Boil, for example, wearing white is discouraged unless you want a souvenir of red PEI mud stains on your clothing. 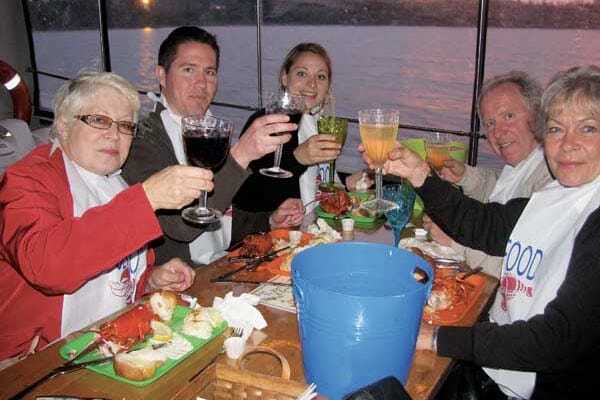 This event involves foraging for your dinner—collecting quahogs, oysters and mussels from shallow water before devouring bowls of mussels and a lobster per person. A wonderful aspect of Fall Flavours is the opportunity to learn about the food we eat. 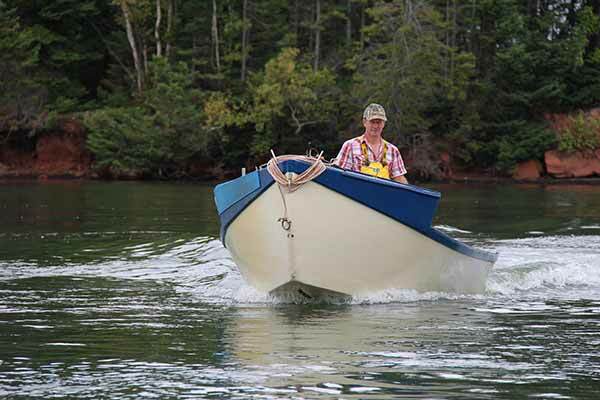 You can go out in a dory and try your hand at harvesting wild oysters. You can kayak to an island and dig for softshell clams. 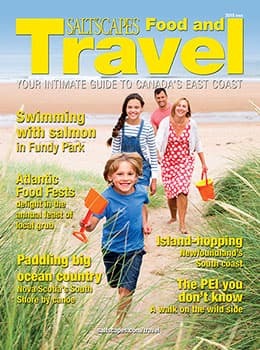 However, PEI food is more than shellfish—and farm visits are also incorporated into the schedule. John Gillis heading out to get oysters. Fall Flavours provides an opportunity to meet food producers—not just chatting for a moment in a crowded farmers’ market—but spending a few hours with an Islander. The people who lead the “culinary adventures” are entertaining but they are not entertainers—they are hard-working people who grow or harvest food and are willing to share the experience. After discovering what’s involved in growing or harvesting food, I appreciate it all that much more. Now, for example, when I slurp back a fresh oyster, I think about the labour that has gone into cultivating and harvesting the mollusc. I picture the weather-beaten faces of John Gillis and Leslie Hardy, who have spent long days on the water tending the shellfish for years. I also recall the beauty of Pinette Harbour and Malpeque Bay and the feeling of being on the water and raking oysters from the seafloor. All these memories enhance the flavour of an oyster on the half shell. During the culinary adventures and meals, you can also take advantage of a nearly one-on-one consultation with an expert. Want to know how to shuck an oyster or crack open a lobster? Ask the person who not only provides you with dinner but has been harvesting shellfish for his whole life, as did his father before him. Want to hone your skills in the kitchen? Get hands-on training from a chef in a cooking class. Learning new skills and gaining a deeper appreciation of our food is all great but, frankly, the best part of Fall Flavours is the eating. Every day in September, there are at least three Fall Flavours events. Some involve getting your hands dirty as you help harvest food—but all involve a great meal. Throughout Atlantic Canada, there are harvest festivals big and small. In Elliston, NL, at Roots, Rants and Roars, chefs from across the country participate in Cod Wars, a culinary hike and a grand feast in September. The Devour! Food and Film Fest pairs meals with movies. 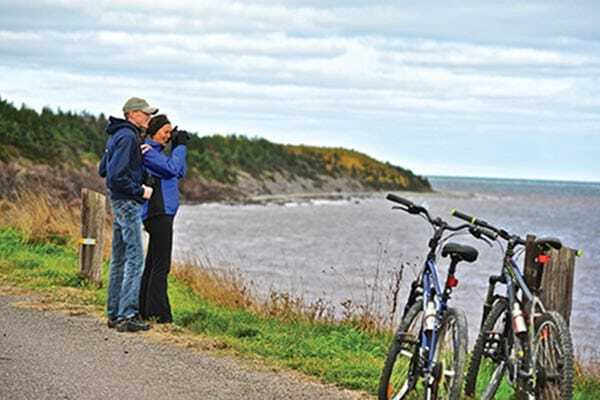 The main event is in Wolfville, NS, in October but satellite events have sprouted up in different provinces and countries and are held at different times of the year. For a down-home experience, check small newspapers and social media for small, local events in church basements and community halls—like Foods of the Fundy Valley’s Oktoberfest in Hillsborough, NB. Organized by a community group, the event features local food cooked by volunteers (including a chef). Whether you go to an organized event or not, be sure to skip your supermarket shopping at least once in the fall. Instead, find fresh food cooked, harvested or foraged in Atlantic Canada. The country drive, the feeling of pulling a carrot from the soil or a clam from the mud, or the bustle of a farmers’ market—these experiences, combined with the great flavour of fresh food, turns a great meal into a memorable event.